With the arrival of a new year, many people start thinking about losing weight and toning their bodies. For many of these individuals, in the past, that would mean starting a strict diet and exercise program, or perhaps even investing in Liposuction or weight loss surgeries as a way to get results faster. However, there is another option that experts are applauding for its effectiveness.  CoolSculpting has been featured in many top news publications all across the country, and in a recent article from Health News Digest, one top plastic surgeon from New York is also singing its praises. CoolSculpting is completely non-invasive, which means there’s no downtime experienced after the procedure has been done. According to Dr. Rubinstein, leaving the scalpel behind has many benefits. The fact is that not all patients are good candidates for surgical or invasive procedures. Even those who are tend to be nervous about the side effects that can be associated with surgery. While CoolSculpting treatments vary, each section that’s treated takes approximately one hour, and it is possible to treat two areas at once. Fat cells are frozen, which causes them to die off and be eliminated from the body. People see results in a relatively short period of time. Perhaps you’ve been thinking about talking to someone to find out if CoolSculpting is right for you. Contact us and let’s discuss your goals for the new year.